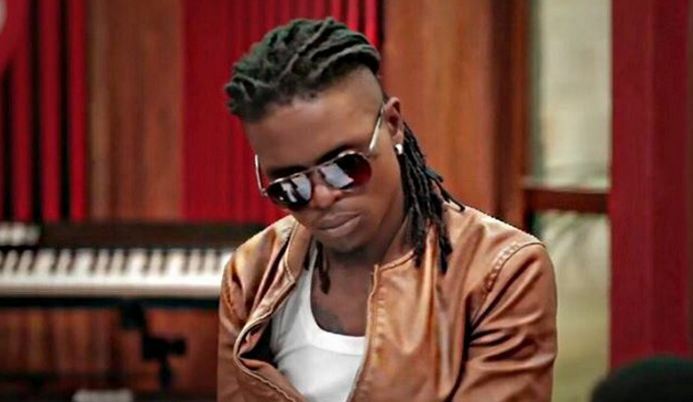 If you haven’t heard of any wars among artistes of late, then you should try Goodlfy crew where singer Douglas Mayanja aka Weasel Manizo is fighting a bunch of Goodlyf fans who recently left the crew claiming that Weasel left the mission why Goodlyf was established and knows who actually killed Mowzey Radio. These left Radio and Weasel camp and started Radio Military Force (RMF) which is fighting for Radio and promoting his legacy and music. These headed by a one Derrick Nsubuga claim that Weasel no longer respects values and decisions of Mowzey Radio, disrespect Mowzey’s family members and does not pay writers who writes him music. Nsubuga claims, Weasel Manizo never paid the person who wrote his tokyayitaba song a tribute to the late Mowzey Radio. 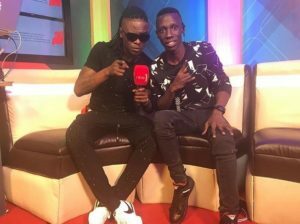 On Friday Weasel appeared of NBS After 5 show hosted by Douglas Lwanga and MC Kats to premiere his Good over evil and Mary Jane which features singer Radio who passed on early this year after a knock out at one of the bars in Entebbe. Weasel claims in our latest Uganda celebrity news that he has received a number of threats from different people threatening that they will kill him. This comes after a brutal fight between Weasel and Mowzey Radio’s brother Frank Ssekibogo whom weasel pins that he has at several occasions stolen and escaped with Radio’s property at their home in Makindye. Despite the threats, Weasel Manizo assured his fans that he will continue releasing music to his fans and fans of Radio and Goodlyf at large.